This beautiful ruled journal is centered around the philosophy and aesthetics of the seven chakras and is designed to inspire yogis, spiritual practitioners, and writers. Beautifully illustrated throughout with images inspired by the seven chakras, this elegant journal offers an invaluable guide to the practices and symbolism associated with these sacred centers of bodily and spiritual energy. 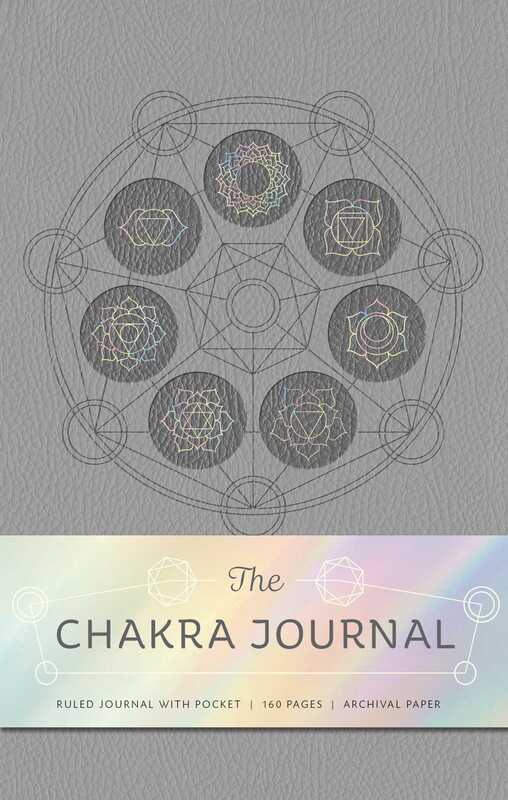 Featuring gorgeous geometric illustrations and ample space for writing notes and recording inspirations, the journal provides useful information on all the various aspects of each of the chakras, including what they signify and how to enable their energy to flow freely. The 192 lined, acid-free pages made from recycled paper take both pen and pencil nicely, and the 4.5 x 7.5–inch back pocket is perfect for holding precious mementos.